The Forscher bread roll is a German classic with a delicate aromatic crumb and a crunchy crust. 100% wheat flour with wheat-based sponge pre-dough. A wheat and rye flour mixed bread with more wheat than rye makes it a milder less sourdough taste. It is very popular in Germany. 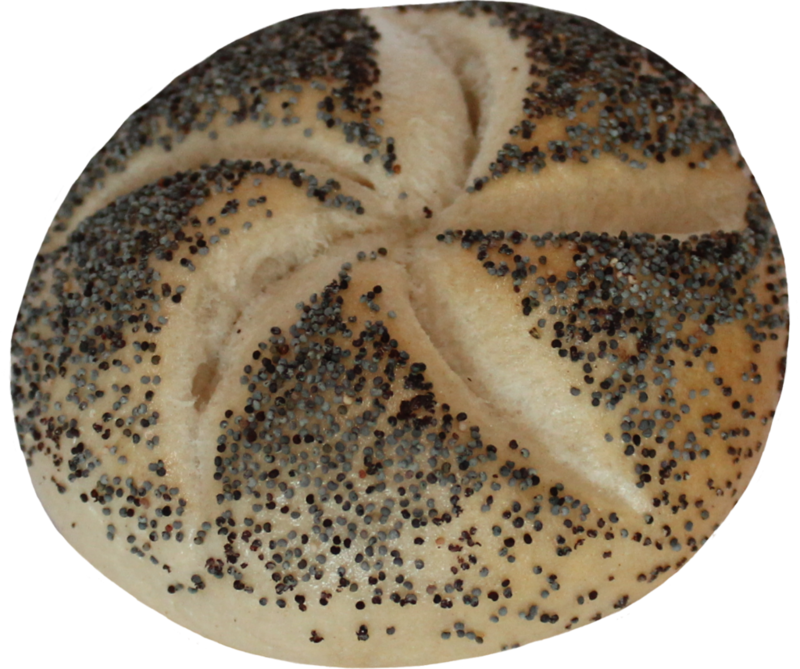 A wheat roll with a star-shaped top decorated with poppy seeds. This roll is sprinkled with pumpkin seeds and contains soy, sesame, lin and pumpkin seeds. 100% wheat flour with a 3-stage rye sourdough. Made with grated carrots, Chia, Quinoa and herbs. An awesome healthy roll. Made with the intend to have more crust and less crumb. A hand-crafted small bread baked after processing the dough for 18 hours. It’s very flavorful has large pores and its crust make this a very special bread. 100% wheat flour with rye sourdough. © 2018 Forscher Bakery. All Rights Reserved.